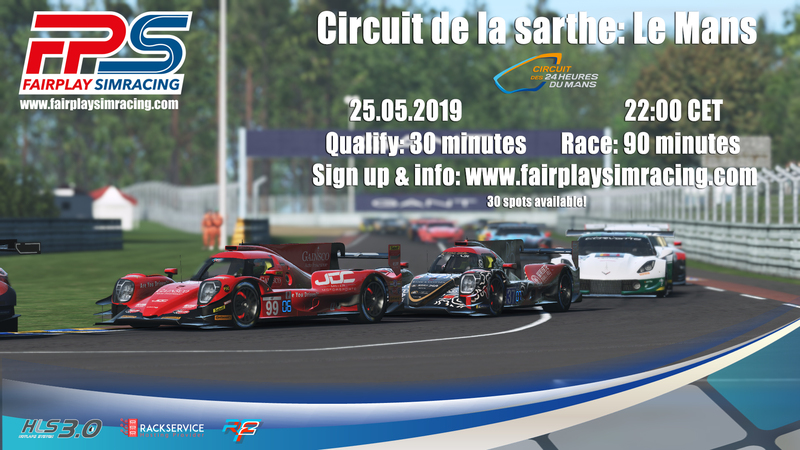 Home - Fairplay Simracing - Enjin - 1st FPS Endurance was a success! 1st FPS Endurance was a success! On the 13th of April we had our 1st "endurance" event. This was 90 minute battle on C.O.T.A. Because it was such a great success and everyone liked it we decided to do another one on the 25th of May.